Founder of Clima Records, Arno Emilien Mathieu adopts fusion as the guiding vision of his esthetic. Influenced by jazz, Deep House and Techno from Detroit, he releases a fusional universe, filled with the emotion that life forms inspire him. Rhythmic and narrative, Arno’s music tells his stories to the dancing body, to better touch the spirit that vibrates. It is this esthetic that brings him to collaborate with artists such as Tokyo Black Star, Markus Enochson, Manoo, or Japanese producer Kuniyuki Takahashi, asking them to reinterpret and remixe his music on Clima Records. Curious for new meetings, Arno broadens his fields of expression to other domains. On the occasion of a request he received for the contemporary art exhibit “Elusive Dream” that took place in Paris, he composes the title “History Of A Quest” on the theme of the quest. Arno follows a natural path between graphic arts and music, as a return to his training as a student of applied arts, he builds the link between sound and image. This represents for him a renewal in his way of conceiving his work. He organizes this music around an idea; it is no longer the music that guides his cravings but more a guiding idea that leads the creative process. This openness towards art in general also gives him the chance to work with the young Spanish producer Maria Cifuentes, by creating the music for her her short film: Despertar. Produced by the production company Partizan, which also works with producers such as Michel Gondry or Quentin Dupieux, the film has made its mark in independent film festivals. Throughout these different experiences, Arno E. Mathieu remains loyal to his own universe and finds a huge support in some of the leaders of the underground elecontronic scene. 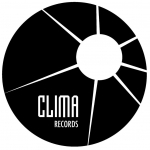 He always gains the trust of Joe Claussell, major artist of the alternative NY music that decides to distribute Clima Records vinyls through the solid distribution network of his label Sacred Rhythm Music. The first result of this collaboration, « The Cycles Project Pt.1 », shows a true success of international appreciation and once again the respect from the underground community. Discreet activist, but recognized within the electronic music, Arno has also collaborated with labels such as Deeply Rooted House or Realtone and here his tracks have also found an enthusiastic welcome.